Snes9x Git (2018/05/31) is compiled. Snes9x is a portable, freeware Super Nintendo Entertainment System (SNES) emulator. 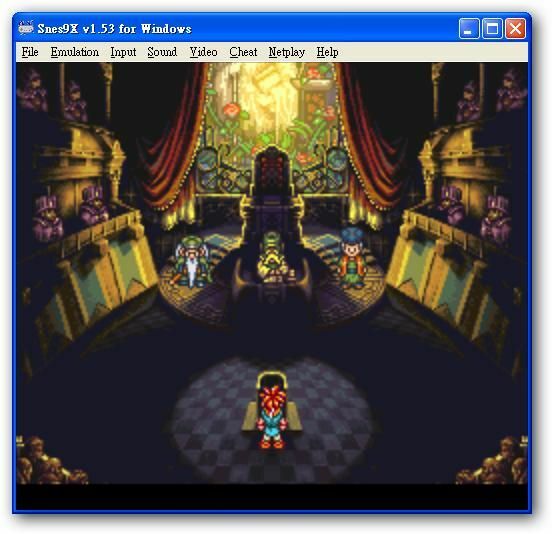 It basically allows you to play most games designed for the SNES and Super Famicom Nintendo game systems on your PC or Workstation; which includes some real gems that were only ever released in Japan. Snes9x is the result of well over three years worth of part-time hacking, coding, recoding, debugging, divorce, etc. (just kidding about the divorce bit). Snes9x is coded in C++, with three assembler CPU emulation cores on the i386 Linux and Windows ports. * Use 16-bit with NTSC filter in hires mode. * Make note and clarify code. * Actually, I like the other fix better. We know the HDMA reads this value into the MDR as an intermediary, not that writing the address writes to OpenBus. * We definitely only know Speedy writes this address and it goes to open bus on hardware. * Isolate Speedy Gonzales fix for now. * Check for the short scanline on the timer scanline, not the current one.